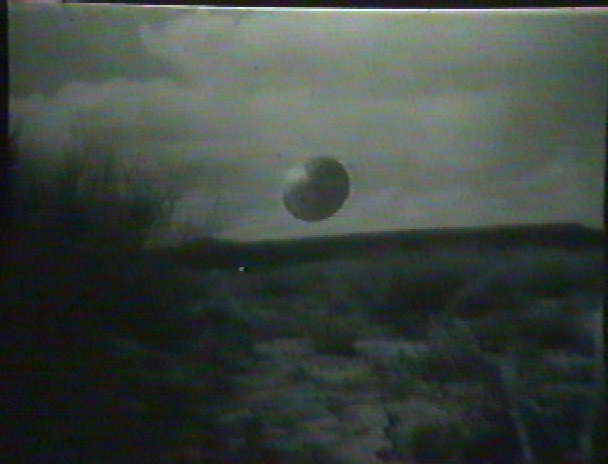 It was a stormy night in the desert lands of Roswell, New Mexico in the first week of July 1947. Lightning flashed brightly, lighting up the empty wasteland of rocks and sand. In this part of New Mexico hardly anyone was around to hear the terribly loud thunder bursts that dreary, rainy evening. Not many people lived in that area. But the few people who did live in those parts weren't able to hear what really happened that night. Photo of a REAL UFO in New Mexico! If the thunder wasn't so loud, the strange sound of an alien space craft could have been heard crashing just northwest of Roswell, near Corona, New Mexico. A farmer named Mac Brazel had thought he heard an explosion somewhere out in his field. At first he believed the sound was thunder from a very close lightning strike, but in the morning when he went outside, he saw the wreckage of a crashed UFO! A military investigator walks with Mr. Brazel among the wreckage. ©1993, Group 1 Services, Ltd.
A group of geology students was also outside that morning studying rocks. These college students walked right next to the wrecked space craft. They not only saw the weird metal and thread-like wires of the damaged UFO, they also saw five aliens lying on the ground! One student of the group walked closer to the craft and saw four more aliens inside! Air Force officer holds UFO wreckage. No aliens were moving though, except for one alien lying up against the outside of the UFO. He was still alive! When one of the students looked into the living alien's eyes, he could feel what the alien was feeling, and could communicate to the alien inside his mind with ESP! The aliens looked a lot like humans. They had a tiny nose, a little mouth, and eyes like a human (but the eyes were a little bigger). Their heads were also a little bigger than ours, and they had no ears (except for a tiny hole where each ear should be). They also had no hair, and were shorter than a human adult (about 4 feet tall). They were wearing silver space suits and mitten-like gloves. Their gloves were taken off to reveal that they had hands like claws! 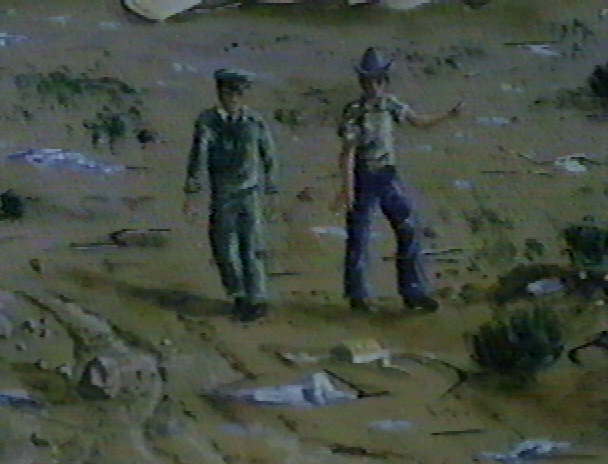 Not long after the farmer told the police about the crash, a bunch of soldiers from the Air Force arrived to clean up the pieces of the damaged UFO. Every tiny fragment of metal was picked up, and the soldiers loaded the UFO inside a big plane. It was taken to Wright-Patterson Air Force Base in Ohio. It is kept in a secret airplane hangar (garage) called Hangar 18. The dead alien bodies were also taken to Hangar 18. They are kept in a cold, liquid chemical mixture to keep them preserved. This is the alien named Krill. The only living alien at the scene was also taken by the Air Force. His name was said to be Krill. From what UFO researchers (UFOlogists) have been able to learn, Krill was taken to a secret Air Force base in southern Nevada near Groom Dry Lake. This secret Air Force base in Nevada is called Area 51. At Area 51, Krill was questioned about why he and his alien friends came to Earth. Later, Krill was allowed to live at Area 51, and help the Air Force build UFOs like his. To this very day, aliens and humans are said to work together at Area 51, building and testing new and improved UFOs! 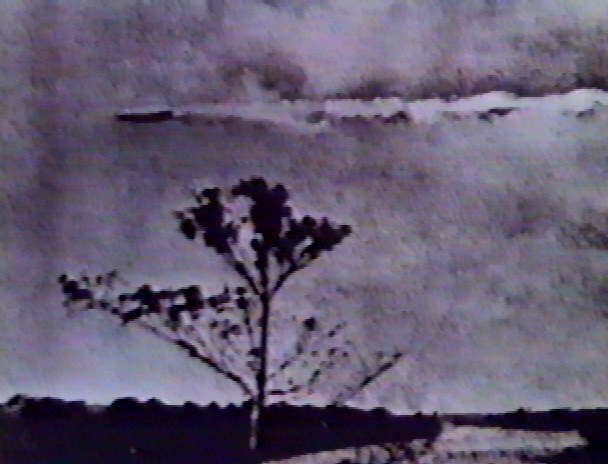 On June 21, 1947, in Tacoma, Washington, two harbor patrolmen were out in their boat off the coast of Maury Island. The weather had been unusually sunny that day, until shortly before 2:00 P.M. that afternoon. The clouds rolled in and the day became overcast. Shortly afterward, the patrolmen (Fred Crisman and Harold Dahl) saw 6 doughnut-shaped objects flying against the murky sky. Two of the UFOs were flying very close together...so close that one of them slightly bumped into the other one. This caused a strange metal to fall out of the UFO. Smoke trail from a REAL UFO! ©1974, Sandler Institutional Films, Inc. Some of this metal fell on the boat. The patrolmen were afraid that all the metal falling down would either sink their boat or hit someone in the head. So the men tried to call for help on the radio transmitter. But this did no good. The radio was being jammed by the UFOs! The radio just wouldn't work! UFOlogists say that nearby UFOs tend to cause car engines to die and lights and radios to fade or stop working. This is called EME (the electromagnetic effect). A car's engine stalls when a UFO is nearby. Soon, the metal quit falling and the UFOs flew off into the distance. Mr.Dahl's 15-year-old son, who came along with them for a boat ride, collected the weird metal. The next day, a long, black, shiny new 1947 Cadillac pulled up outside of Mr.Dahl's house while he was eating breakfast. 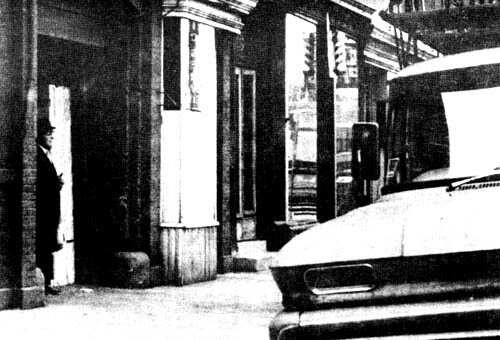 A man wearing a black hat, black suit, and black tie got out of the car and walked up to Dahl's front porch and knocked on his door. When answering the door, Mr.Dahl was surprised by the strange Man In Black (MIB). The MIB had a very white skin that looked like glue or paste. Patrolman Dahl invited the MIB to walk to the kitchen to have breakfast with him. The MIB walked very stiff like a robot...and talked like a robot. The strange MIB sat down at the table and stared at the food in his plate. He warned Mr. Dahl not to talk about the UFOs he saw the day before. The MIB told Harold Dahl that he, his son, and Mr. Crisman had seen something they were not supposed to see! Then the MIB stood up and walked back to the front door. Dahl fearfully followed the MIB and watched him (it?) get back into the black car. The MIB car drove off out of sight and Mr.Dahl immediately wrote a letter to Amazing Stories magazine, hoping they would print the story of his UFO sighting and MIB encounter. He wanted the whole world to know that aliens really are coming to Earth in UFOs! A REAL MIB standing in the doorway. 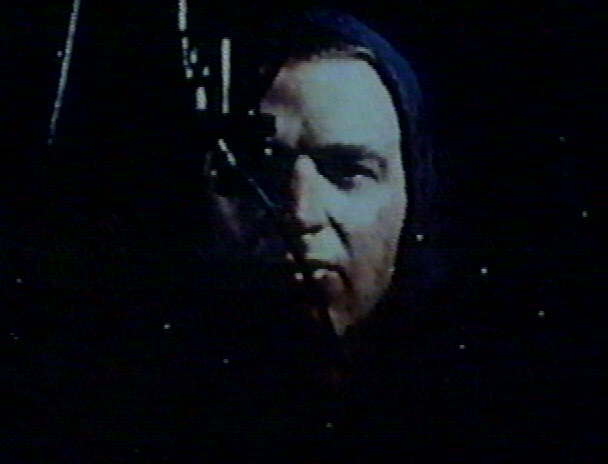 Later, business man and UFO investigator Kenneth Arnold traveled to Tacoma to interview the harbor patrolmen. Crisman and Dahl told Arnold their amazing story, and Arnold called in two military intelligence officers: Brown and Davidson. The intelligence officers wanted to analyze the metal that fell out of the UFO. They wanted to know if it came from Earth or from another planet! 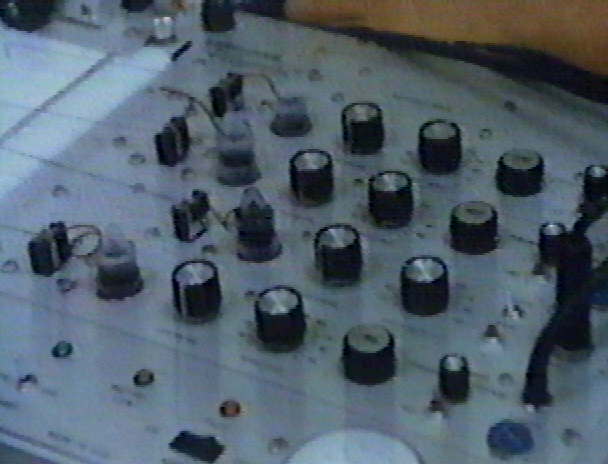 Brown and Davidson took the UFO metal samples with them on board their plane as they flew back to their Army base. Once on the base, the metal would be taken to a chemistry lab to be analyzed...but the plane never made it back to base! It mysteriously crashed. The strange metal on board the plane was never to be found again. It seems that we will never know who or what visited Mr. Dahl that morning during breakfast. Was the strange man dressed in black really a military man? Remember, it was the U.S. Air Force who took away the UFO that crashed at Roswell. 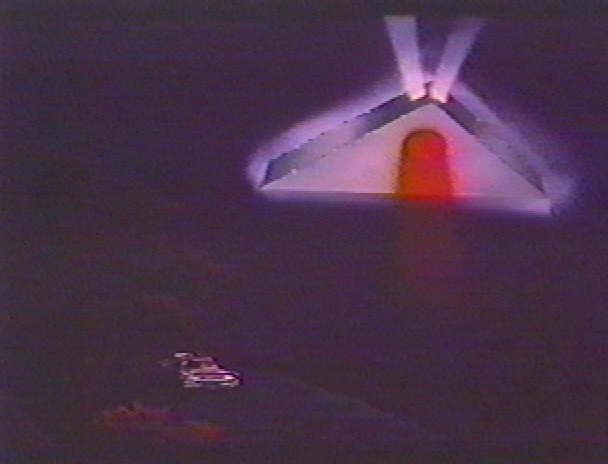 And military intelligence officers took the UFO metal from the Maury Island incident. Some people say that the MIBs are officials that work undercover for the U.S. Government. They say the MIBs are trying to keep REAL UFO evidence out of the hands -- and minds -- of the people who see them! 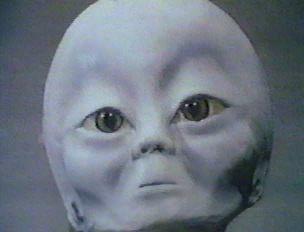 But there are some who believe the MIBs could be robots that the aliens made to spy on humans who see their UFOs? And then there are others who think that the MIBs are the aliens themselves! Mrs. Swan Talks to Aliens! In 1959, the CIA heard about a woman in northern Maine who said she had contacted aliens from outer space by ESP! Once again, the U.S. Government showed its interest in aliens by sending CIA agents on a mission to Maine to talk to this woman to see what she knew. The CIA agents asked the woman to try again to contact the aliens. So the woman, Mrs. Swan, told the CIA men to come back when it got dark. That night, on July 6, Mrs. Swan dimmed the lights, sat in a chair, and went into a trance. The CIA agents watched. Once in a trance, the woman had contacted the aliens! The aliens' voices came out of Mrs. Swan's mouth! The aliens said that they were members of OEEV (Universal Association of Planets) and were currently working on Project EUENZA (Earth). 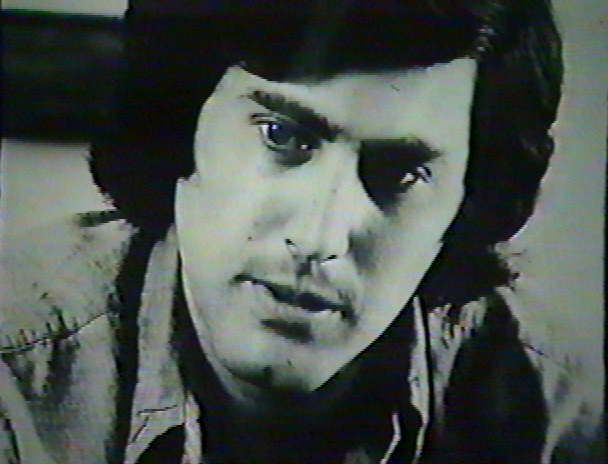 Uri Geller could talk to the aliens with his mind, too. As one of the CIA men wrote down notes of what the aliens were saying, he also went into a trance! But the aliens didn't speak through his mouth, they talked inside his mind! An alien named AFFA guided his hand and helped the CIA agent write down what he was telling him! The aliens that were contacted from Mrs.Swan's house that night were named AFFA, ALOMAR, ANKAR, KRILL, and PONNAR! On paper, AFFA was asked questions. Apparently the aliens told Mrs. Swan that they could see into the future. The CIA agents asked AFFA if there would be a World War III. AFFA guided the CIA agent's hand to write the word no. Then they asked AFFA if they could see a UFO. This time AFFA the alien spoke through the agent's mouth! The answer was "Yes. Look out the window." And when Mrs. Swan and all the CIA men looked out the window, they saw a bright round UFO in the night sky. When the CIA contacted a local Air Force base to see if they had the UFO on radar, the base reported that the UFO was blocking out the radar! This is another example of the EME that UFOs exhibit. UFO detectors have been used to talk to aliens. What else did they learn from the aliens that night? They learned that some of the aliens were from planets in our own solar system! AFFA was from Uranus, ALOMAR and PONNAR were from Mercury, and ANKAR was from a place called Centaurus. And yes, our alien friend Krill(remember him from Case #1?) 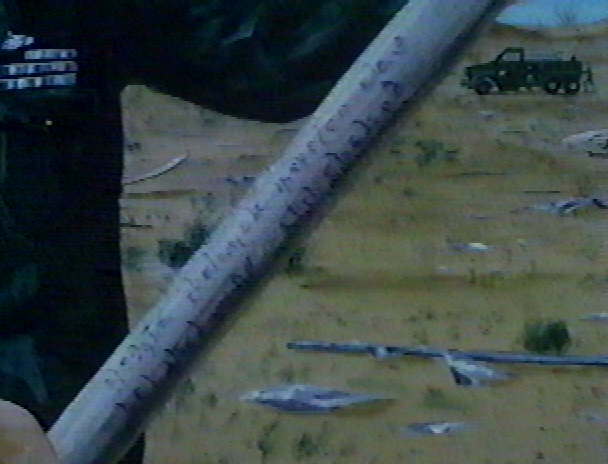 also communicated by ESP that night, all the way from Area 51 in Nevada. He said he was from the planet Jupiter which, at the time, had a population of 787,730,016. Scientists have determined that the only planet in our solar system that can support life is the Earth. And when satellites flew by to take pictures of other planet surfaces, no sign of life was seen. This means that these aliens must be living underground on these other planets! They might even be living on these planets' moons! 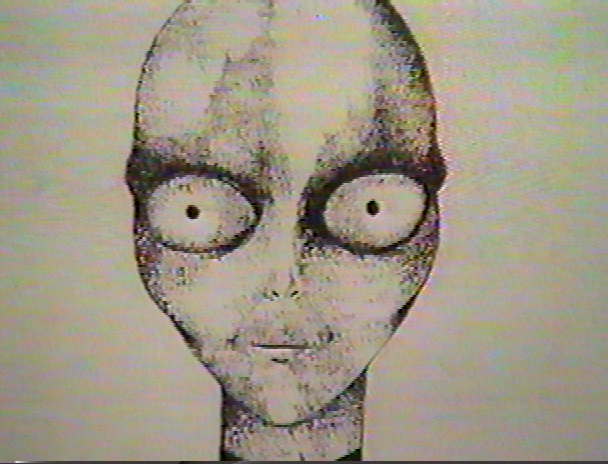 In October of 1973, an unknown woman in Mobile, Alabama called a TV station and claimed that the aliens contacted her by ESP. From what UFOlogists can figure out, the Alabama woman was probably right! The month of October 1973 was when the Earth was under a mass UFO invasion and aliens were reported all over the United States! It seems as though the aliens were contacting Earth people to let us know they were coming! Many people have tried to contact aliens by ESP for a long time. They think it is fun to talk to them and learn about them. The aliens told some of these people that there are places on Earth where ESP works very well. Many people go to Sedona, Arizona. They have been very successful at receiving mental messages from the aliens out among the desert rocks of Sedona. 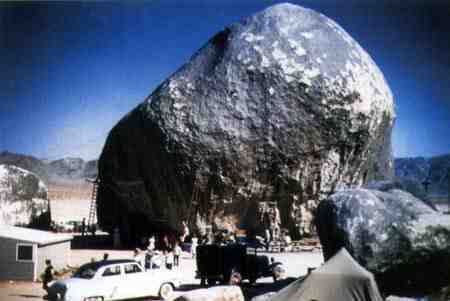 As a matter of fact, in the 1950s, people used to hold UFO conventions in Twenty-nine Palms, California, beside a big giant rock. Hundreds of people gathered there to share stories of how the aliens contacted them. Giant Rock is also a good place to talk to the aliens by ESP. Activity #1: Contact the Aliens by ESP! You can also talk to the aliens with your mind. This activity will guide you step-by-step in contacting the aliens by ESP. So if you are ready to meet the real aliens, follow the instructions below. 1. SETTING. First you must create the proper mood for contacting the aliens. 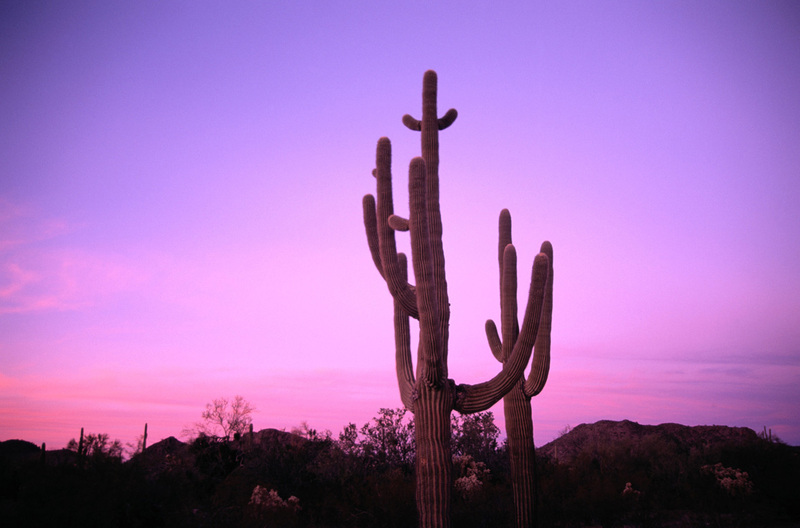 If you live near Sedona, Arizona or Twenty-nine Palms, California, then see if you can take a trip there. Once in Sedona, go out into the desert at night and sit on a big rock. If you go to Twenty-nine Palms, then sit beside the Giant Rock in the dark. If you can't go to one of these special places, then prepare your room or some other quiet place in the house. Make sure you try this when you know you won't be disturbed. Wait for a time when everyone is asleep or out of the house. You might even want to unplug the phone. Better yet, go outside on a quiet night when everyone is asleep. Sit on your porch in a comfortable lawn chair with the porch light off. 2. PREPARE. It must be night time. If you are in your room, turn off all bright lights. Turn on a lamp or night light, only. But for the best results, use a candle! If you have any incense, put some in an incense burner and light them. If you have a quartz crystal this will also help amplify the mental vibrations of the alien messages. Sit in a relaxed position in a comfortable chair, or lie down on your bed. If you are lying down, place the quartz crystal on your forehead. If sitting down, hold the crystal in your left hand. If you don't have a quartz crystal, don't worry...just go on to the next step. 3. INITIATE. Now close your eyes. It is important that you DO NOT fall asleep! Relax your body one part at a time. Start with your left foot, up to your shin, then your thigh and hip. Next do the same for your right leg. Just let each part's muscles go limp and loose. Imagine that you are floating in calm, warm water. Do this same process for your left and right arms, starting with your hands. Next, let your abdomen and then your chest go limp. The last thing you should relax is your neck and face muscles. Hopefully you have not fallen asleep by now! If you do this right, it can be very easy to fall asleep! Once you have done this step, go on to the next one. 4. ENERGIZE. Now your body should be in a state of relaxation. When your body is relaxed, your mind begins to release its thoughts. Sometimes these thoughts are your memories from earlier in the day. Remember it is important not to go to sleep. If you start drifting off, your mind will release dream thoughts, just like it usually does when you are asleep. To remain awake so you can pick up alien thoughts by ESP, you must focus your mind. To brush aside your own thoughts from your mind, it is important to energize. That is, focus your mind on the process of picking up the thoughts and energies of an alien. Create a mental image of an unknown planet, somewhere in deep space. Focus your imagination down to the surface of that planet. If the mental picture of an alien doesn't come to you, then continue to relax and let your mind drift over the surface of the planet. You may want to focus down deeper, below the surface of the planet. Let your mind drift around underneath the surface. If an alien message hasn't come to you yet, then focus your mind somewhere in space. Try to imagine a UFO flying out there. Mentally go inside the UFO. Let your mind drift around in the space craft. Do you see someone sitting at the controls? This will be the alien! 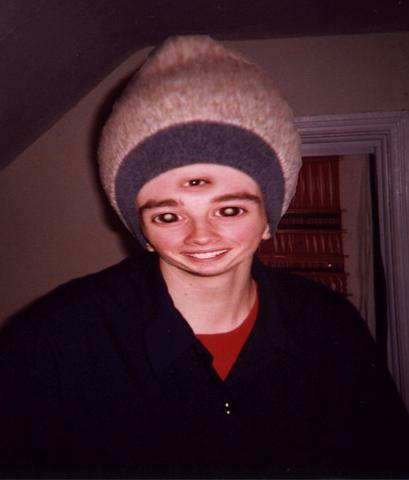 Once you see the alien in your mind, let your mind drift into his head. It will be then, that you will pick up the thoughts of the alien! Mentally ask the alien what its name is, what it is doing, and where it is going. Then listen, with your mind, for a response. 5. LEAVE. After you have listened to the thoughts of the alien and you are ready to come out of the trance (yes, you're in a trance! ), then send the alien a goodbye message and thank the alien for talking to you. 6. EMERGE. Now count yourself down. That is, tell yourself that you will open your eyes and wake up on the count of one. Then start counting backwards slowly from five: 5, 4, 3, 2, 1...wide awake! You may have trouble moving certain parts of your body. You may even see purple or blue spots and blotches that appear to be floating in the air. This is just your body and eyes trying to wake up. Do not be worried if this happens. Your mind has been awake and your body has been asleep! This does not happen to most people. But if it does, just relax. Think to yourself that "it is OK...I will wake up in just a minute." Then try to move a part of your body a few minutes later. You will then be able to move around. 7. DEBRIEF. Now quickly get a pencil and paper and write down everything you asked the alien and everything the alien said to you! Congratulations, you have met the aliens! If you tried this activity and nothing happened, don't be disappointed. For some people it does not work the first time. And if it does work the first time, it gets better the more times you do it! So keep trying. SINGLE VARIATION: You might try this same process while sitting at a table in front of an opened notebook with a pencil in your writing hand. If you have a quartz crystal, place it in the table next to you. Then when you contact the alien, let him (or her) guide your hand and write the answers to your questions on the paper! PARTY VARIATION: You might even try getting a group of friends together to sit with you around a table. Make sure you have the proper setting. Place the quartz crystal next to the candle and incense in the center of the table. The more crystals you have, the better this will work! Then everyone should join hands, and follow the process. Someone in the room will certainly contact an alien, and let it speak through their mouth! Let that one person speak for the alien, while the rest of the group takes turns asking the alien questions. CIA: Central Intelligence Agency. This is a branch of the United States Government that collects information about many things. They investigate some UFO cases when it appears that the aliens involved might be a threat to the safety of the United States. EME: Electromagnetic Effect. It seems as though UFOs are built with some sort of engine that causes other electronic and magnetic devices to stop working. Sometimes car motors die and the headlights stop working in the presence of a UFO. Also radar, radios, compasses, and watches temporarily stop working while a UFO is flying nearby. At other times, UFOs fly close to power lines and cause an entire city's electricity to go out for hours! ESP: Extra Sensory Perception. Aliens usually have the ability to read minds and communicate with only thoughts. Aliens talk to each other this way, instead of using their mouths to speak. Aliens and humans can also communicate with one another by ESP. Sometimes an alien's ESP can also help him to predict the future! QUARTZ: A type of transparent crystal found in caves on Earth. Quartz is used in transistor radios to amplify the electronic signals from radio stations. 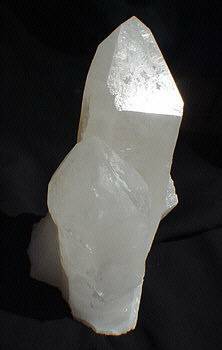 It is believed that quartz crystals also help to amplify the 'thought signals' of aliens using ESP. Scientists have discovered that quartz contains and produces piezoelectric energy. If you have two quartz crystals, turn off the lights so that you are in total darkness. Hit the two crystals together very hard. You will see a glowing spark fly from the crystals! This is the electricity in the crystals sparking outward. UFO: Unidentified Flying Object. Back before the military started studying UFOs, UFOs were called flying saucers or airships. UFOs are any strange unexplained lights flying in the sky, or unidentified flying craft believed to be under the intelligent control of aliens from outer space! UFOlogist: A person who studies UFOs and aliens. UFOlogists sometimes investigate UFO sightings and landings. Lots of times they try to figure out if some alien sightings are jokes. This way they can find out what the real aliens are doing here.